Thomas H Griffith graduated from Fairmont University in West Virginia with a degree in business management. He started in the insurance business as an adjuster with Crawford and Company in Atlanta, Georgia; eventually being promoted to Supervisor in Charge. 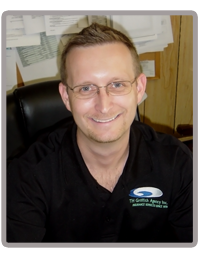 Thomas migrated to South Florida and created The Griffith Agency. His company and industry recognition includes Presidents Club, Champions Conference, Business Executive Council, Plus Award, Elite Agency, and LUTC. Thomas has over thirty years experience in all lines of insurance and financial services. 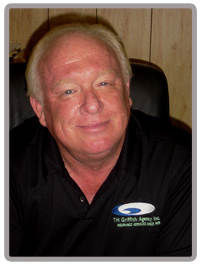 Thomas P. Griffith is a third generation insurance specialist with The Griffith Agency. Following in the footsteps of his grandfather, Thomas R. Griffith, and his father, Thomas H. Griffith, Tommy has proven to be a valuable asset to the agency since graduating in 2005 from Florida Atlantic University with a bachelor's degree in business management. He carries a 2-20 and 2-15 licenses, making him skilled in property and casualty insurance as well as in financial services. Casey J. Griffith is the newest agent at The Griffith Agency. Learning over the years from his grandfather, Thomas R. Griffith, his father, Thomas H. Griffith, and his brother, Thomas P. Griffith, Casey has shown that he is prepared to be a great asset to the agency. Since graduating from Florida Atlantic University in 2010 with a degree in business management, he has exceeded expectations within the agency. 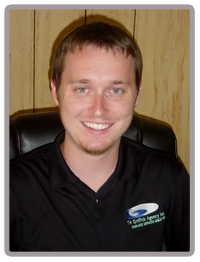 Casey carries both a 2-20 and 2-15 license making, him qualified to assist with all of your insurance needs.